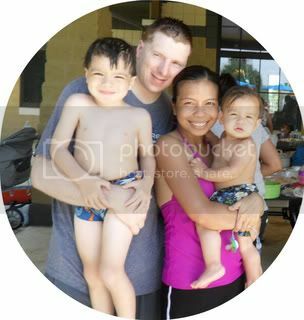 This week’s featured blogger is Jennifer, another Hello Kitty Online player. 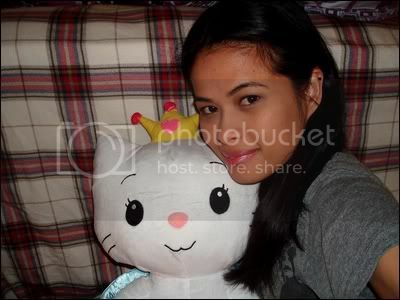 She’s a Filipina, lives in California, USA and a self-confessed Hello Kitty fanatic! She has many Sanrio stuff like watches, plushies, key rings, figurines, holographic and game cards, candy dispenser and more. Her hobbies are reading, travelling, singing karaoke, playing pool and the guitar and other outdoor activities. She also likes listening to many different genres of music. 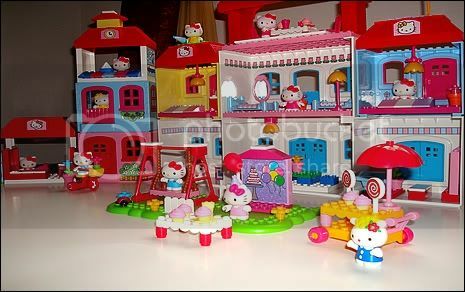 Below is a picture of one of her collections: A Hello Kitty Lego-like set made by Mega Brands. She also likes to post about other HKO players and their characters’ clothing. 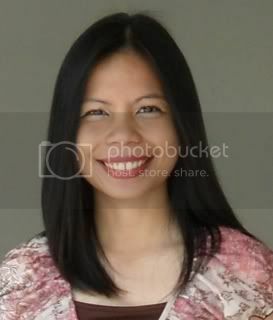 If you want to know more about her please visit her blog by clicking HERE.